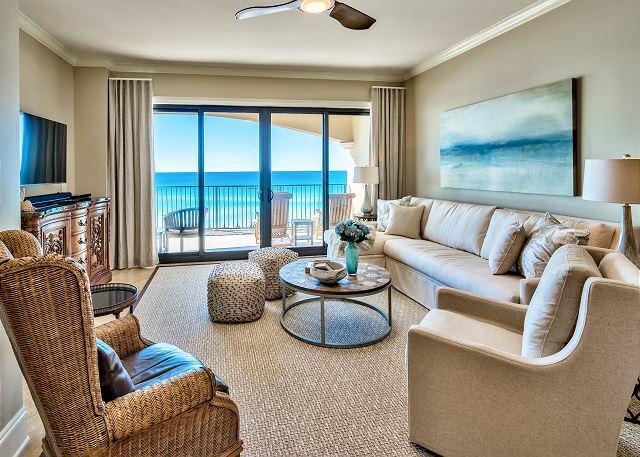 VC302 NEWLY updated 4-bedrooms, gulf front,Beach chairs service included! 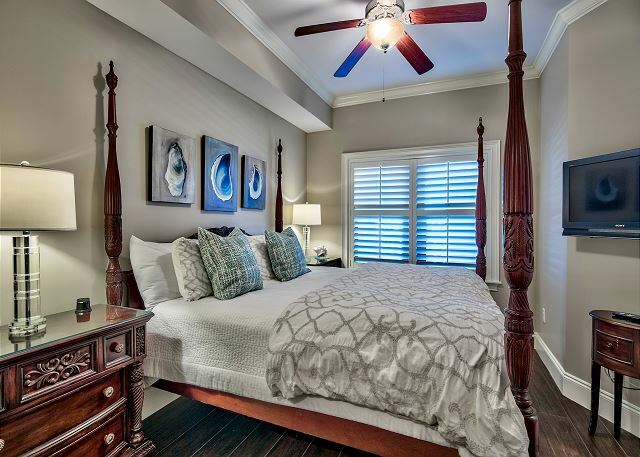 Totally updated in early 2018 - new paint throughout, mattresses, furniture, rugs and art! 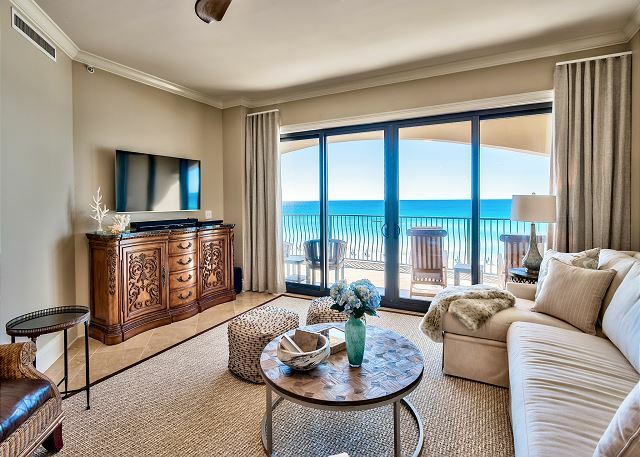 Your friend at the beach is delighted that our five star condo just got better! 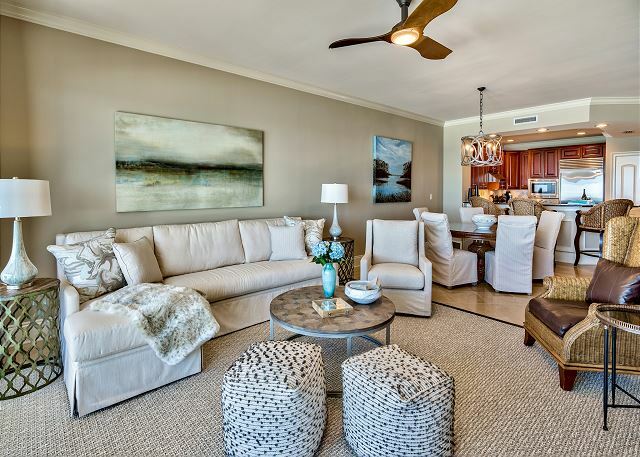 Imagine all the comforts of your home in a beach front condo - and you have found it in Villa Coyaba 302. YFAB has four condos now at Villa Coyaba. 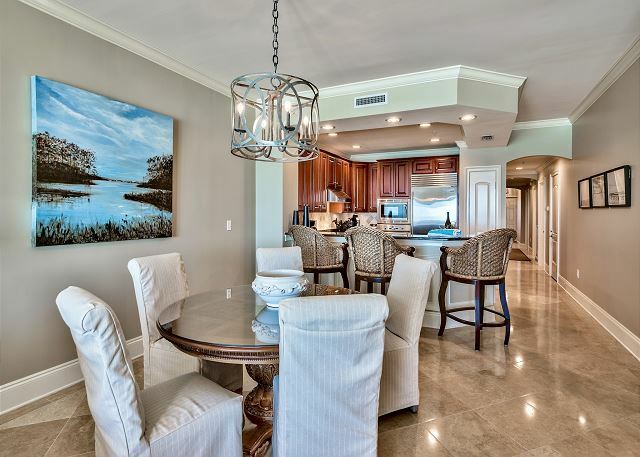 Newly redecorated in early 2018 with an eye to detail and comfort, this four bedroom, three bath luxury condo in Crystal Beach has everything you need for your perfect beach getaway. * New living room furniture including new sectional, rugs and chairs. PHOTOS now up! * Updated in 2018 with new Thermidor gas cook top in kitchen. * NEW Sealy Performance Posturepedic mattress in master king bedroom and second king bedroom in 2018. New full size mattress on bottom bunk bed, too. 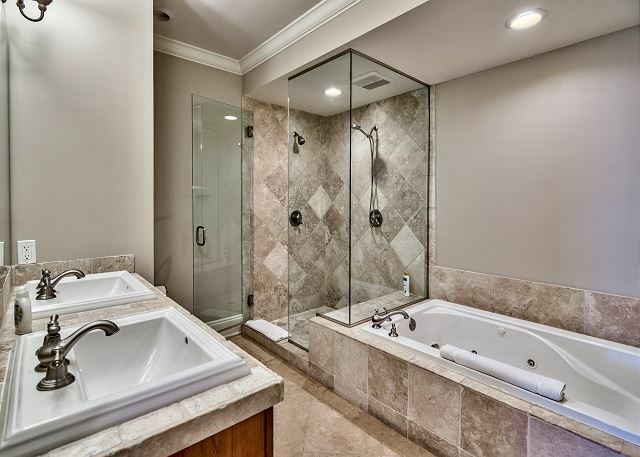 Master bedroom with King bed, private bathroom with double sinks, jetted tub, large shower with double-headed showers. Second bedroom with King bed, adjoining bathroom shared with third bedroom. Third bedroom with Bunk bed with full bed on bottom bunk, twin on top bunk. 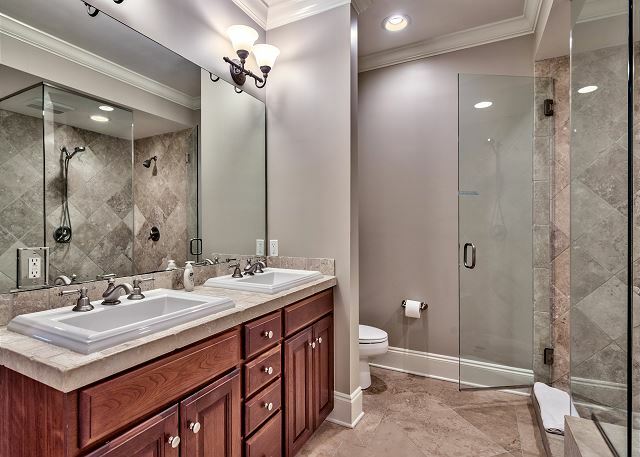 Adjoining bathroom shared with second bedroom. 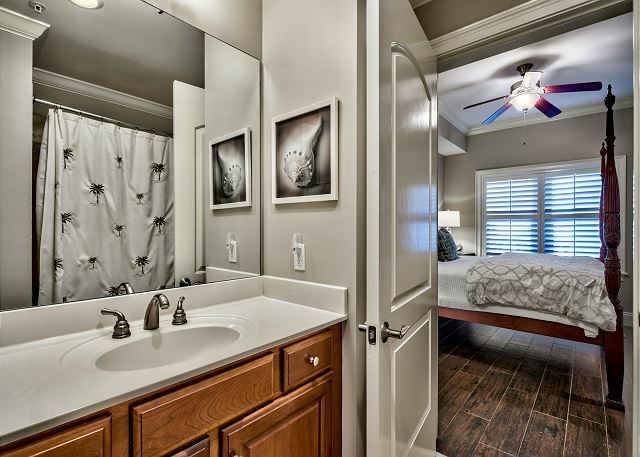 Fourth bedroom with Queen bed and adjoining bathroom. 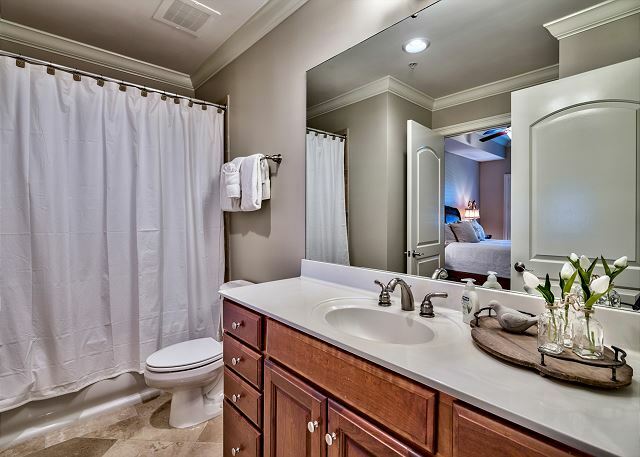 100%cotton sheets in all bedrooms plus 100% cotton towels in the bathrooms - plus hair dryers, shower soap, hand soap and starter supplies of paper goods. *Both a Booster seat and pack and play are located in each YFAB unit. 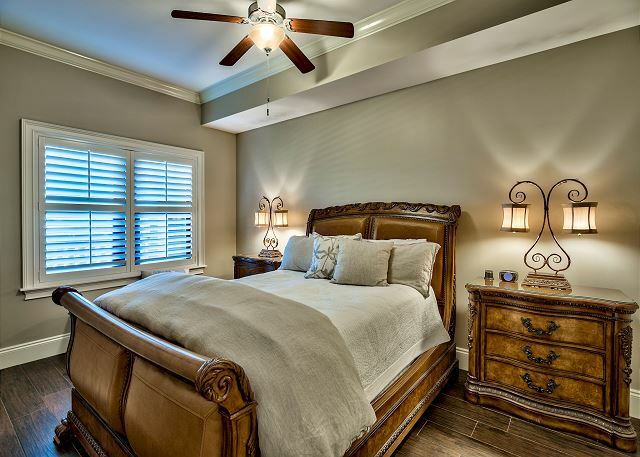 Cribs are available through our Concierge service. 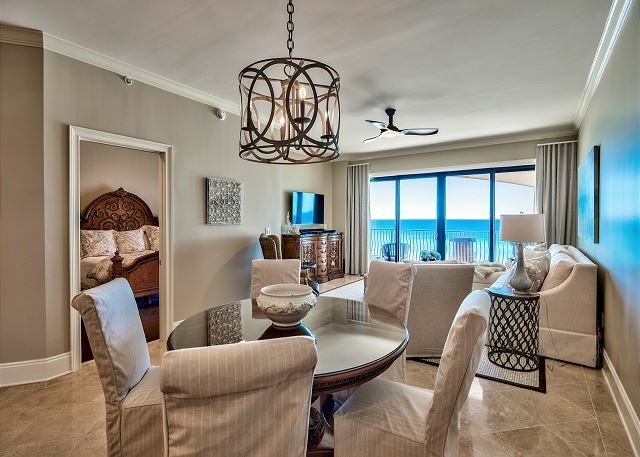 Spacious and inviting, Villa Coyaba 302 is 2200 square feet of upscale beach front living. 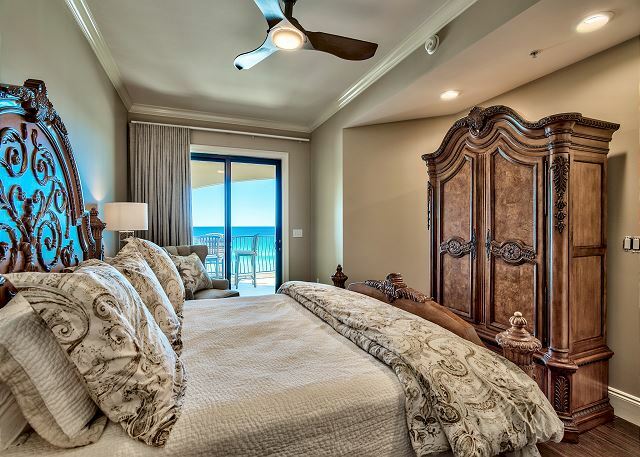 Wake to the sunrise from your balcony overlooking the gulf. Enjoy a workout in the on site gym or swim in the large gulf front pool. There are plenty of chaises to relax on as your read your favorite novel - or recline in the beach chairs provided March to October. 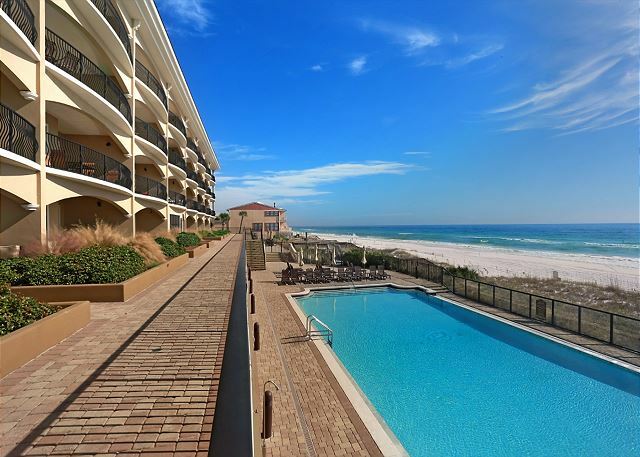 You are minutes away from some of the best dining and shopping in Destin - but far from the crowds. 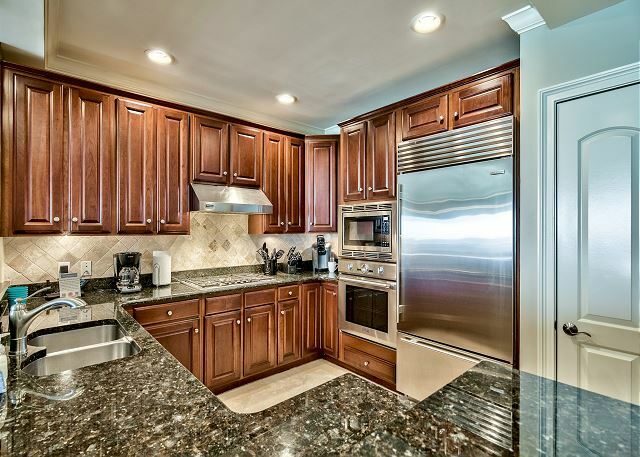 Perfect for a family vacation or reunion, you can cook in the stylish kitchen with granite counter tops and know that everything you need from blender to crock pot is provided. 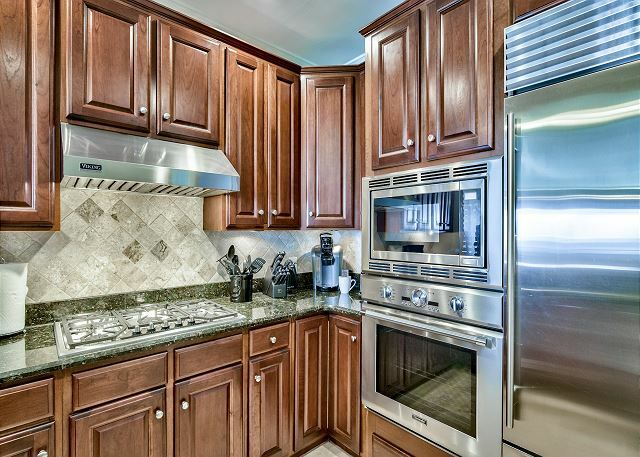 The appliances are all new - Subzero Refrigerator, Thermidor Oven and microwave - plus a new Bosch dishwasher. The dining area is convenient and comfortable for your whole group. 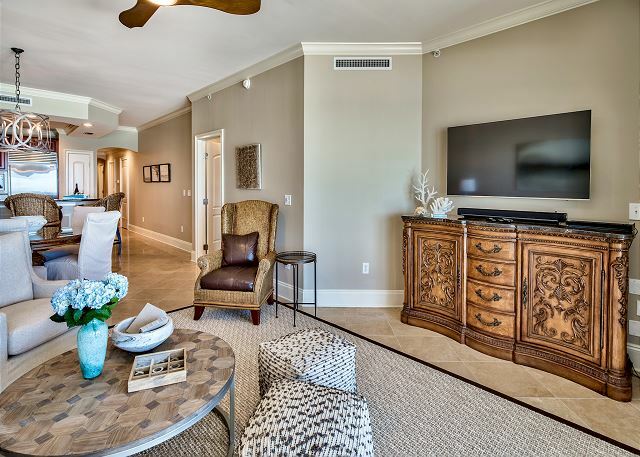 The living area is a perfect retreat to watch your favorite movie or game on the flat screen TV. 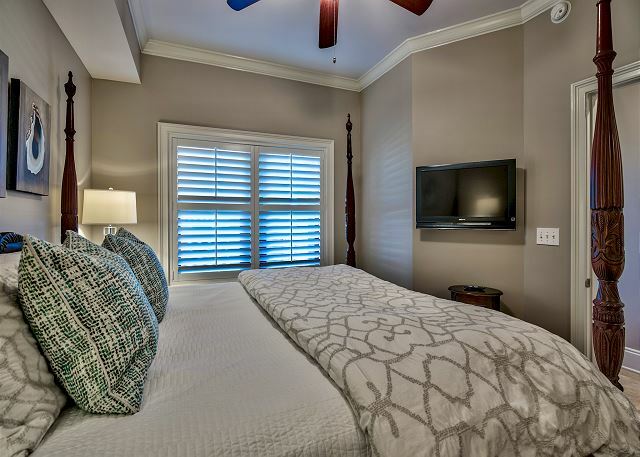 Each bedroom is designed for comfort with 100% cotton sheets. The bathrooms have soaps and 100% cotton towels. 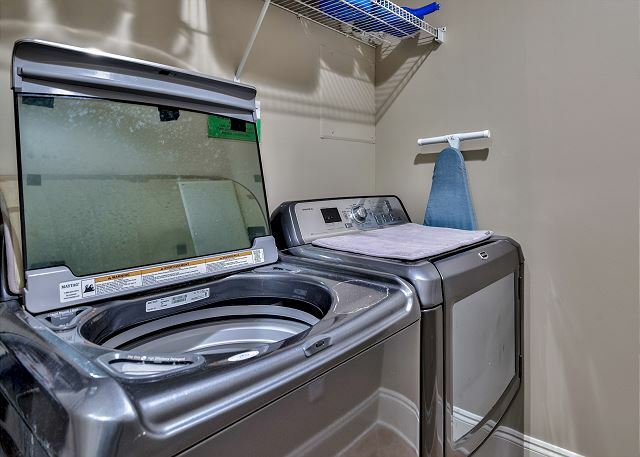 And if you absolutely need to do it, the laundry room has full size washer and dryer, new in 2013. 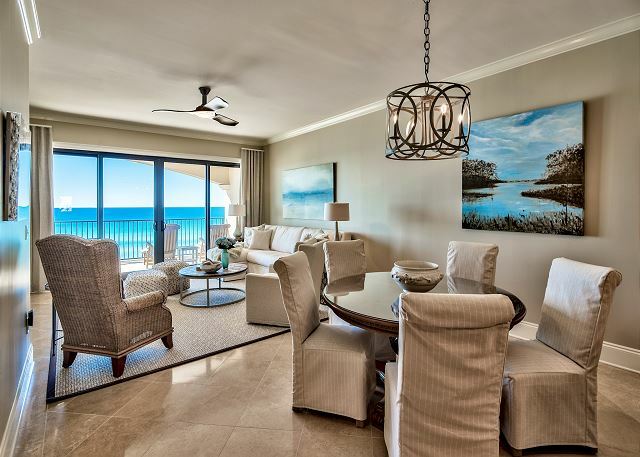 Your friend at the beach invites you to discover the style and elegance of Villa Coyaba 302. If you are bringing friends or more family, we also have a second condo next door and a new ground floor condo both at Villa Coyaba. 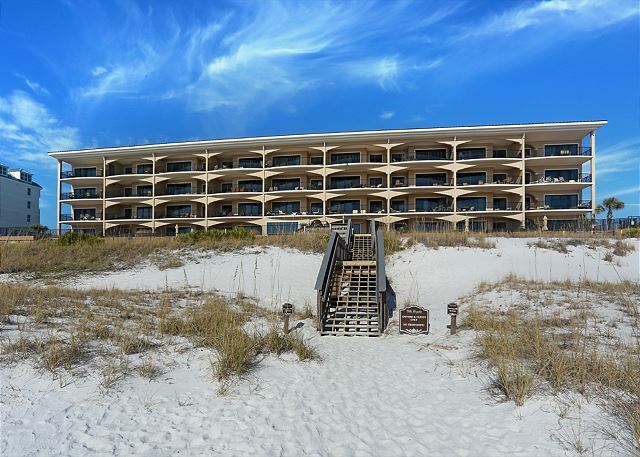 You will return again and again to this delightful beach getaway. - Does not rent monthly. - Two parking spaces available. - Please review charges before booking on line as fees charged by VRBO cannot be refunded by Your friend at the Beach. - Local tax increased from 11% to 11.5% in 2019. Saturday to Saturday rentals only during summer season and spring/fall breaks. Must be 25 or older to reserve, no chaperoned groups. Sleeps 10. Both a Booster seat and pack and play are located in each YFAB unit. 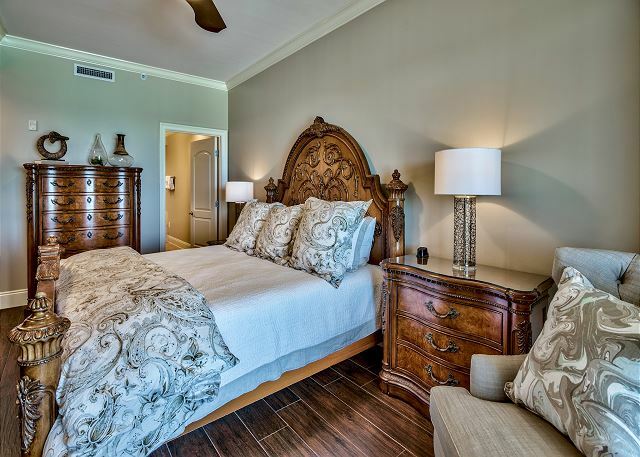 Cribs are available through our Concierge service. Villa Coyaba is a non-smoking facility. The facilities are only for the use of Villa Coyaba guests. Condo and all amenities were great. Manager Response: Cathryn, Thanks so much for your 5 Start Review of Your Friend at the Beach's Villa Coyoba 302! With all of our 4 Villa Coyaba condos, we take great pride in all of our 5 star reviews and guests with many Happy Returns. VC 302 was recently updated with a new cooktop. Villa Coyaba has great onsite amenities and is also Perfectly located near many hot spots for shopping and entertainment. Our unit was great. 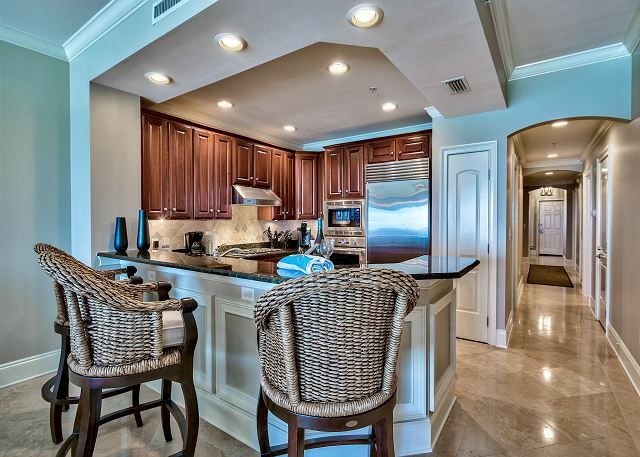 Top of the line appliances, comfortable furniture and beds, fantastic view of the gulf and roomy balcony. We have stayed at Villa Coyaba in different units for 3 years. The Villa's large, beautiful pool has always been warm enough to swim in even if the temps outside were cold. The first week was fine, but the second week the pool temp was too cold. Most of the renters did not swim. Since the weather outside was chilly and there was no sun, the pool temp needed to be higher than normal, which it wasn't. That tended to spoil the last week for us. We feel we pay a premium to stay at the Villa because of the great heated pool. Unfortunately, we could only use the pool a very limited time this year. Manager Response: Thank you, Bill, this newly updated condo is truly a five star with its upscale furnishings and appliances. The pool at Villa Coyaba is always kept warm since there is no hot tub - and I wish you had let us know while you were there as we would have asked to have the temperature raised. I have contacted the on site maintenance manager and asked that they check that the heater is working properly. Please know this won't happen when you return to Your Friend at The Beach! The condo was very clean, organized and in great condition, we always rent with Gulf front and this condo served our family, appliances very current up to date, washer/dryer may need a deep cleaning, we ran into a foul odor in the refrigerator so we found and removed a clear tray on the top shelf with a label designated for seafood. Manager Response: Thank you Michael and we appreciate your five star review of this newly updated condo. 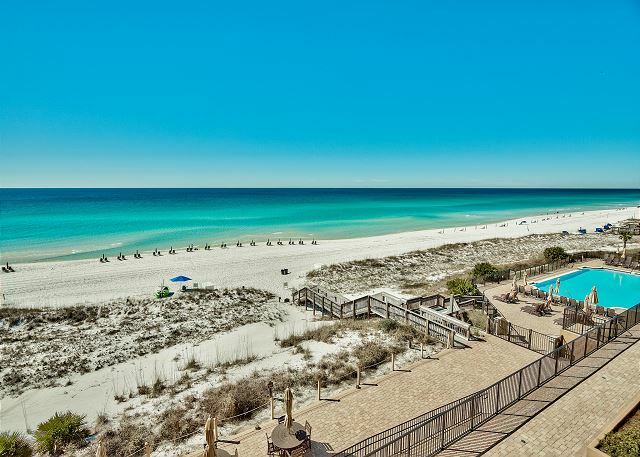 We try to have everything you need in the condo from laundry detergent to hairdryers in every bathroom, Keurig in the kitchen plus everything else you need for the perfect beach vacation! Manager Response: Thank you, Cheri and as your Friend at the Beach, we want to make every stay better than before! Please return soon and remember to use your return friend discount code! Third year in a row staying at Villa Coyaba thru YFAB beach and Nancy. Great experience for the family and can't beat the beaches for our three young girls. The revamped decor was spot on and the unit was in great shape. Manager Response: Thank you, Moe and so glad we enjoyed this newly updated condo - fresh new paint, furnishings, lighting fixtures and artwork! Add that to the view - and it is a winner! This unit was the perfect place for our family vacation! 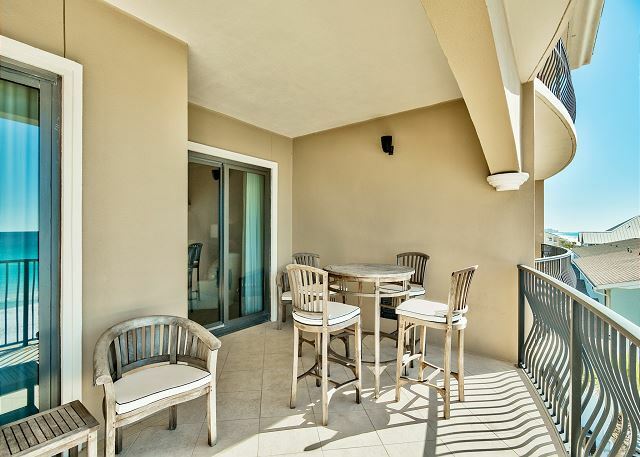 Beautiful views, minimal walk to private beach and a great management company made the difference. We'll be back to Villa Cobaya! 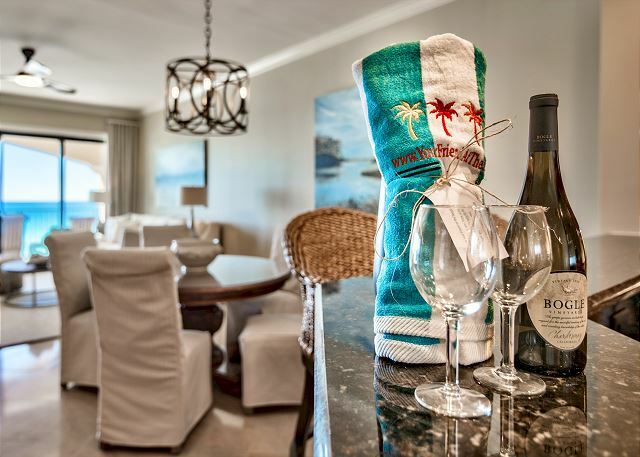 Manager Response: Greg, thank you for your kind review - all of us at YFAB want you to have the best family beach vacation every time you visit one of our four condos at Villa Coyaba! I was so delighted to meet you and your wife - and congratulations on the new addition to your family. We love seeing the little ones as they grow up every summer. You always enjoy a return friend discount when you visit Your Friend at The Beach! Everything was perfect even the weather. 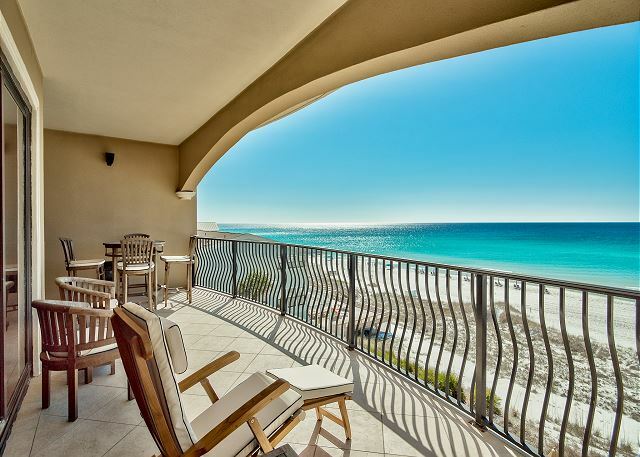 We have been to several other locations in the Destin area Crystal beach was our favorite and Villa Coyaba was great. If had everything we needed, beaches were not very crowded as they were mostly private. We highly recommend anyone wanting an upscale rental choose this one. Manager Response: Your Friend at the Beach is happy you enjoyed this newly updated condo - and the perfect location it has. YFAB has four condos at Villa Coyaba and invites you to use your return friend promo code and bring your friends! The place is beautiful. The View is awesome. Communication was great. The only negative comments I can make is that the gueats in a few other units there were a few rowdy drinking groups. Manager Response: Jeff, Your Friend at the Beach appreciates your five star review of Villa Coyaba 302! 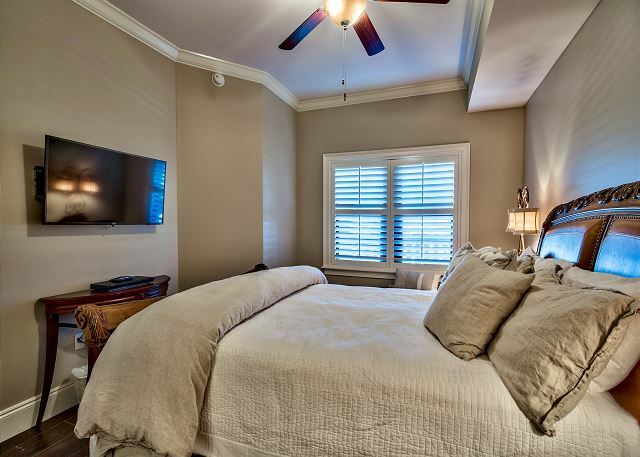 YFAB is proud of this updated condo with new furnishings, freshly painted throughout, high end appliances and artwork. We want you to have a relaxing experience - and would have notified the on site staff had you let us know about the other groups. When you return, you always enjoy a return friend discount with Your Friend at The Beach! We really enjoyed our stay at #302. We have stayed at several units at Villa Coyaba over the years. This one is now one of our favorites. The unit has more furnishing in the kitchen and extra towels than we expected. Really appreciated the detergent, hand soap, dish washing cubes - really they thought of everything. The unit was spotless and beautiful. Also the 4 beach chairs were so nice. One little issue was taken care of in a timely manner. I have already recommended this unit to friends. Thanks for everything. We will be back. 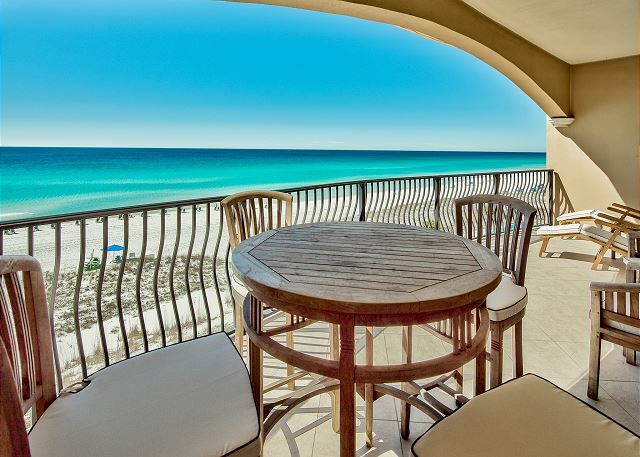 Manager Response: Thank you, Patricia and please check with Your Friend at The Beach in the coming months to see photos of this gulf front condo after the owner updates the master bath and kitchen! And we appreciate you recommending your friends to Your Friend at The Beach! Condobwas spacious and very comfortable Will definitely stay there again! Manager Response: Thank you, Suzanne and Your Friend at the Beach appreciates when our return You always enjoy a return friend discount. 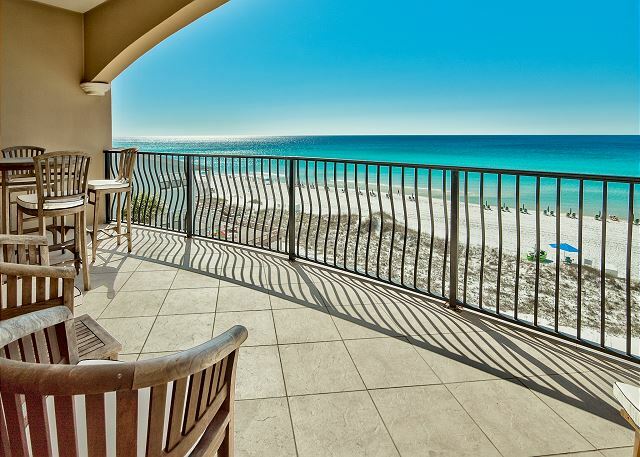 You will especially enjoy the updates planned for this gulf front condo - looking forward to seeing you next year.